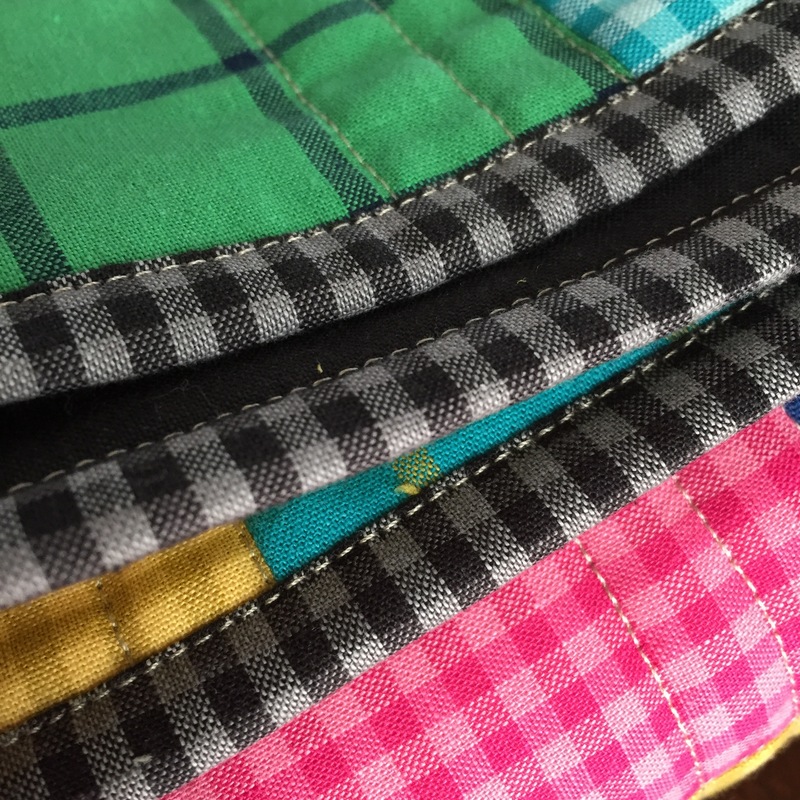 I had the pleasure of sewing up the most perfect simple summer quilt for Cloud9 Fabrics this month. It calls to mind picnics and outdoor concerts, fireworks by the beach and watermelon dripping down little ones’ chins. As summer winds down here in the northern hemisphere, it also provides some snuggle when the nights get cool. The sample is to demonstrate the beauty and versatility of two new collections from the organic fabric company, Checks Please and Window Dressing. They’re made using the same fibers as Cirrus Solids, which are a favorite of mine and have been for awhile now. They have drape, but the weave cooperates in quilt tops, making crisp seams that are so soft to the touch. Timeless patterns in vibrant modern colors make this quilt look classic right off the machine. Check the Cloud9 blog soon for a tutorial on how to assemble it. Cozy and simple <3, <3; something to treasure! What a beautiful throw! It’s the perfect summer blanket – simple, but bright and happy. Oh, I love this fabric and this blanket looks like one big hug! Nice work, as always.